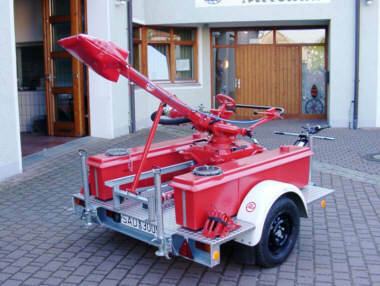 Trailer with foam-water-monitor, carrying 63 gal. foam. 423 gpm maximum flow.